Raelene is a partner with the Restructuring & Insolvency Practice Group. She joined Rajah & Tann LLP as a pupil in 2008 and has been with the firm since then. 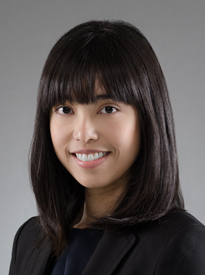 Raelene’s areas of practice include commercial and corporate litigation, with an emphasis on banking and financing disputes, and personal and corporate insolvency. Raelene regularly represents a number of financial institutions, banks and accounting firms in Singapore and has advised on the restructuring of debts of distressed companies, including the review of restructuring agreements and security documentation. She has also advised on the areas of private equity and trusts, including advising trust companies and fiduciary service providers on the establishment and administration of trusts, and the reporting obligations and legal duties of care of trust companies and other service providers. She has also advised individuals on succession planning and other private client issues.